For day two, we had wanted to get to the festival in time to see Blind Mississippi Morris because Brad Webb would be playing with him, but our ride lied to us, so we made the journey downtown via the Memphis city bus system. It gave us a chance to see the city from a local's perspective, driving past tiny brick houses and Speedy's Donuts & Deli, which was advertising a "Toast Sandwitch" as part of its grand opening. The scene at Beale St. was completely different than the previous day, with vendors selling fishbowls of alcohol to ponchoed pedestrians. Evangelical Christians with signs were out to protest the debauchery. We timed the rain shower perfectly with a meal at Miss Polly's Soul City Cafe, where I had some of the best chicken and waffles I've ever had. The waffle was crisp with a fluffy inside, and the fried chicken skin pulled back to reveal juicy, tender meat so delicious it made me consider eating chicken again permanently (I gave up chicken a few years ago, but make an exception for chicken and waffles.). We paid our respects to the Elvis statue, and walked down to the riverbank, joining the line to enter the festival. The female security guard was intense, confiscating Carrie's granola bars because she couldn't prove she was diabetic. God forbid someone sneak some healthy food into this place. "You got any knives on you?" the guard asked me. I laughed in her face. 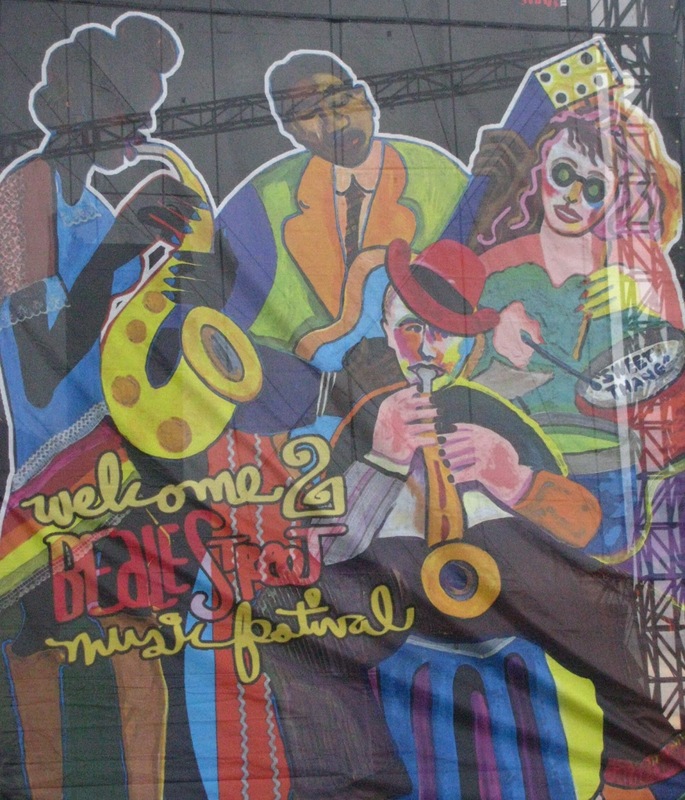 Jerry Lee Lewis' band was getting the crowd's mojo working when we arrived just in time for them to introduce the Beale St. Music Festival stalwart. "Well, at least it ain't rainin'," Lewis offered with a laugh, taking a seat at the piano. At 77, his voice isn't what it used to be, but his piano-playing hasn't suffered a bit, pounding out a set of originals and covers in his trademark style, chock full of glissandos. He came across as a funny grandfather, especially when commenting on the weather. "It was cold when I got out here. Now it's kinda... little bit cold," he said, wiggling his fingers. But rock's original wildman hasn't gone completely soft either. "Nice piano. Don't worry; I'm not gonna burn it up. Not unless she gives me a really hard time. Then I might strike a match to it," he warned the audience. After a rollicking "Roll Over Beethoven," Lewis slowed things down with his take on "Somewhere Over the Rainbow." Somewhere, a fan blew a few soap bubbles into the sky, creating the illusion of Glinda floating by. "I know there's a lot of requests out there, but I can't do all of 'em," Jerry Lee said, settling for his two best-known singles, originally recorded down the street at Sun Studio: "Whole Lotta Shakin' Going On" and "Great Balls of Fire." Everyone sang along. It may have been an abbreviated set, but I'm glad I got to see him perform. 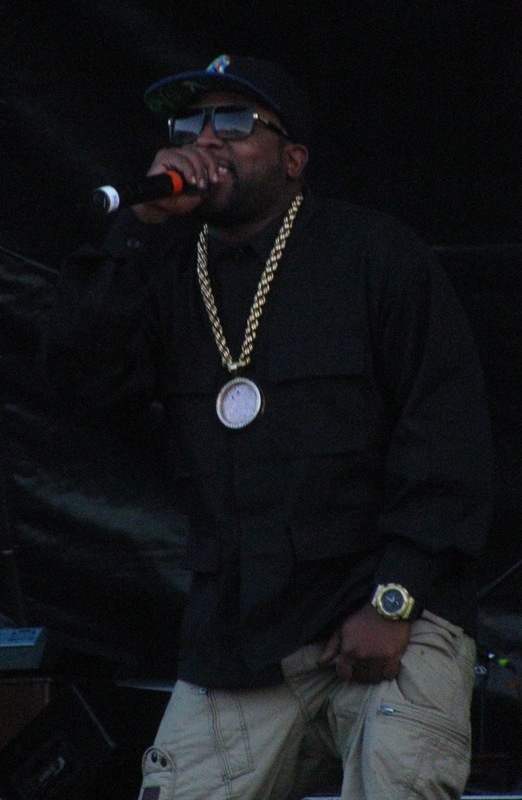 "It feels good to be back in the dirty South," proclaimed Big Boi after opening with an Outkast medley of "Bust," "ATLiens," "Skew It on the Bar-B," and "Rosa Parks." A DJ spun his backing tracks, supplemented by a live guitarist and drummer to enhance the concert experience. "Shutterbug" had me grinning from ear to ear, especially when Big Boi and his hype man hopped on one foot in a choreographed dance. The Sir Lucious Left Foot barrage continued with "General Patton," "Follow Us," and "Daddy Fat Sax." He followed that with two Outkast bangers, "Ghettomusick" and "B.O.B." before cooling out on "Ms. Jackson." Turning the mic to the crowd to sing "ooh ooh ooh" while the DJ dropped the audio only furthered the inclusive, party feel. Though it was tough leaving, we departed when Big Boi brought out special guest, Killer Mike. We only left Big Boi because we had to see Mavis Staples. Her band was just finishing an instrumental as we snagged a choice spot in the center of the mat. 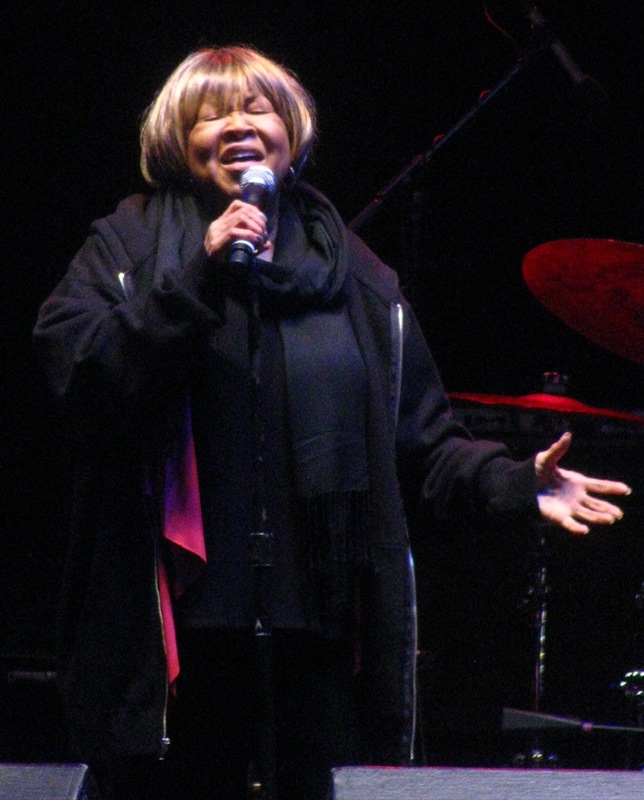 Mavis used a cane to return to the stage, looking like a soulful Yoda. Bundled up in layers, including a scarf and a hoodie, Staples led the group on the Staples Singers' 1975 #1 hit "Let's Do It Again." I could hear the bass from "The Way You Move" bleeding from the other stage, but when the band dropped into "I'll Take You There," I knew I'd made the right decision. Mavis took her time with the song, chatting to the audience throughout. "We've been takin' y'all there for 63 years! And we ain't tired yet," she announced. Then, with a smirk, "How 'bout dem Grizzlies?" causing the crowd to go nuts after the previous day's advancing win over the Clippers. After embarking on some crazy vocal riffing that sounded like a cross between the fairy godmother and the boogieman, she urged the audience to participate by singing the four little words of the hook back to her: "I know if we can take y'all there for 63 years, y'all can take us there for 60 seconds." She held out her microphone, and we took her there. The Black Keys drew the biggest crowd of the weekend, so we weren't able to get super-close, but we were still closer than at Global Festival. Unfortunately, the sound was muddier than the ground we were standing on, the drums flat and the vocals barely audible. It's a shame too because Dan Auerbach was really letting his solos rip on "Howlin' for You" and "Gold on the Ceiling." Maybe if more time was spent soundchecking instead of stringing up the giant flashbulbs, it could've been improved. They still hadn't switched up their setlist from last year, so we retreated halfway through "Your Touch." I've seen Warren Haynes solo, guesting with Grace Potter, and sitting in with Soulive, but never fronting the Mule, so we trudged back to the Orion Stage. Sadly, they were most of the way through "Soulshine" by the time we found a spot, Haynes teasing the Allman Brothers' "Jessica" in his final licks. They proceeded with the crunchy "Thorazine Shuffle." "Banks of the Deep End" was the perfect vehicle for Warren's gruffly beautiful voice, and he inserted a bit of "Ohio" into the song on the anniversary of the massacre at Kent State. They closed with a pair of funky By a Thread tracks, "Steppin' Lightly" and "Broke Down on the Brazos." The crowd cheered for more, but the band had to clear off to make way for ZZ Top. 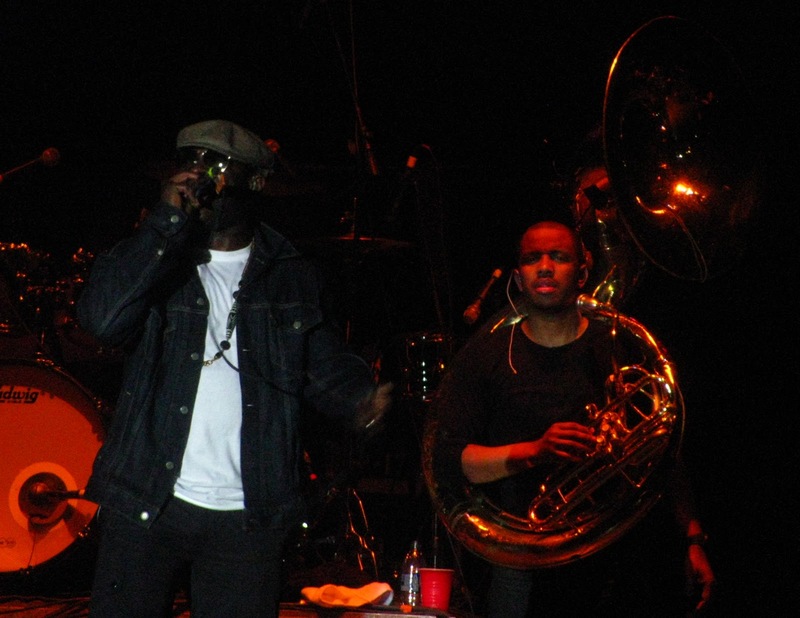 The Roots capped off the evening perfectly with a continuous set lasting over an hour and a half. Nothing could stop them; not even the light rain that had some fans reaching for their ponchos. The first third of the set focused mainly on Roots classics like "Table of Contents," "The Next Movement," and "Proceed," with the first pause coming 33 minutes in, mid-"Mellow My Man." Black Thought breathlessly remarked, "I need a cup of coffee, y'all," and they jumped back into the song, not breaking for another 28 minutes until a fake-out ending in "Immigrant Song." "Immigrant Song?" you say. Already no strangers to the cover tune, the band's time on Late Night has allowed them to pick up even more, injecting bits of "Love to Love You Baby," "Bad to the Bone," and "Mercy" into the mix. Even the "Inspector Gadget Theme" made an appearance! "Welcome to Memphis," their take on Damian Marley's "Welcome to Jamrock," saw them creating some eerie live dub sounds, the crowd singing back, "Out in the streets they call it murderrrrr!" The band was in top form, ?uestlove keeping the ferocious pace, Tuba Gooding, Jr. blasting on his sousaphone, and Kirk Douglas singing along with his guitar solo. After rocking us with "The Seed 2.0" and "Move on Up," they closed up shop with Kool G. Rap & DJ Polo's "Men at Work." "Thank you! God bless! Goodnight!" said Black Thought, finally able to exhale. Legendary Roots crew, indeed. Check out Day 1 and stay tuned for Day 3.